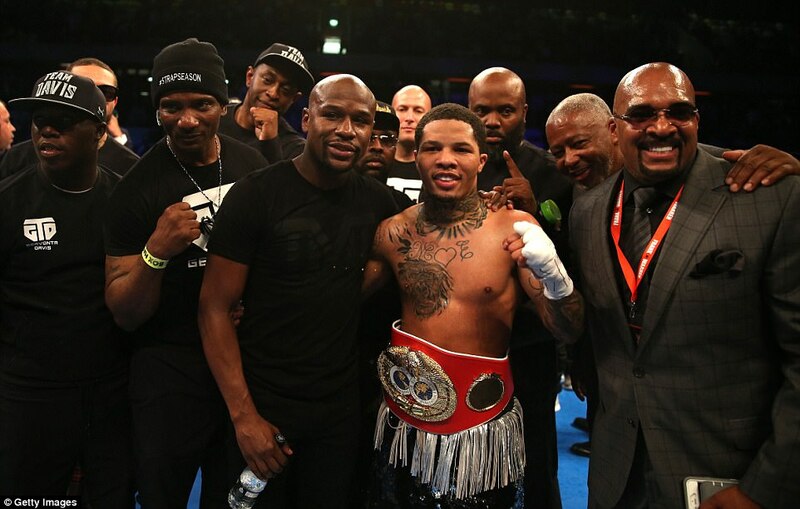 Mayweather protege Gervonta Davis the real deal! 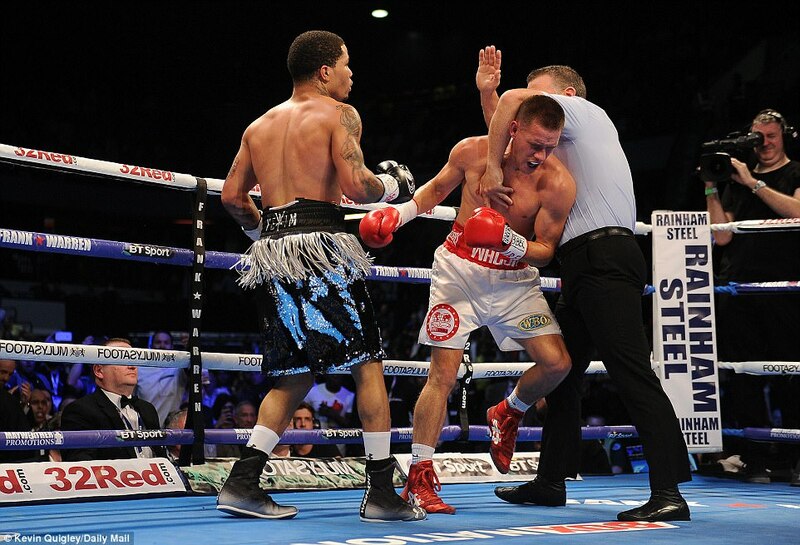 The American future of boxing exploded in the face of a willing English sacrifice in east London. 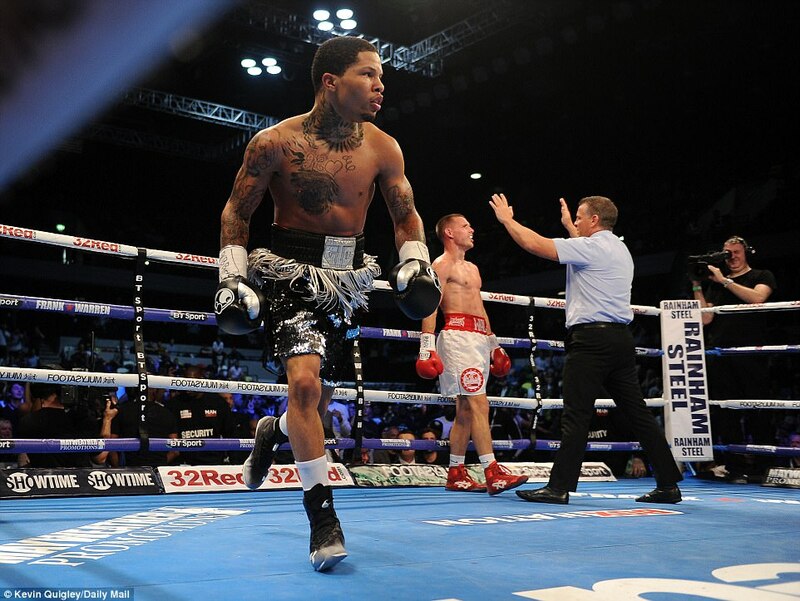 Gervonta Davis, hyped by none other than Floyd Mayweather as his heir apparent, needed less than three rounds to demolish the gallant but massively-outgunned Liam Walsh. 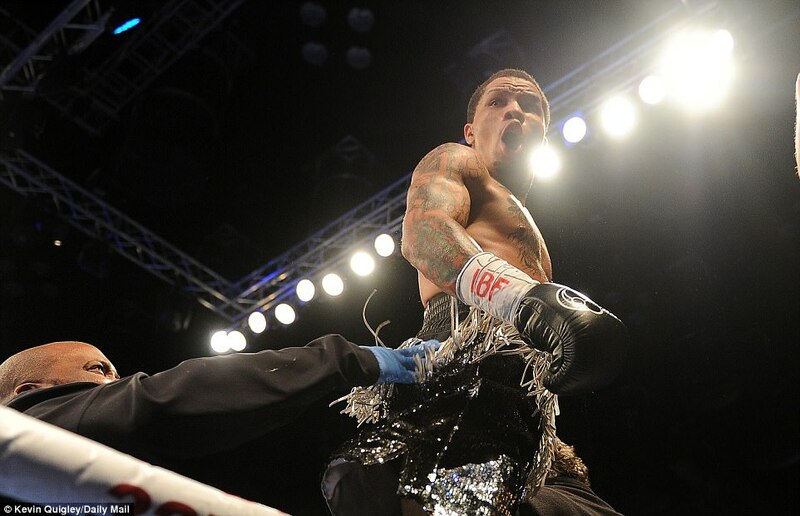 The Baltimore Tank rolled over the first challenger for his newly-won world junior lightweight like a Centurion leading an assault in Desert Storm. 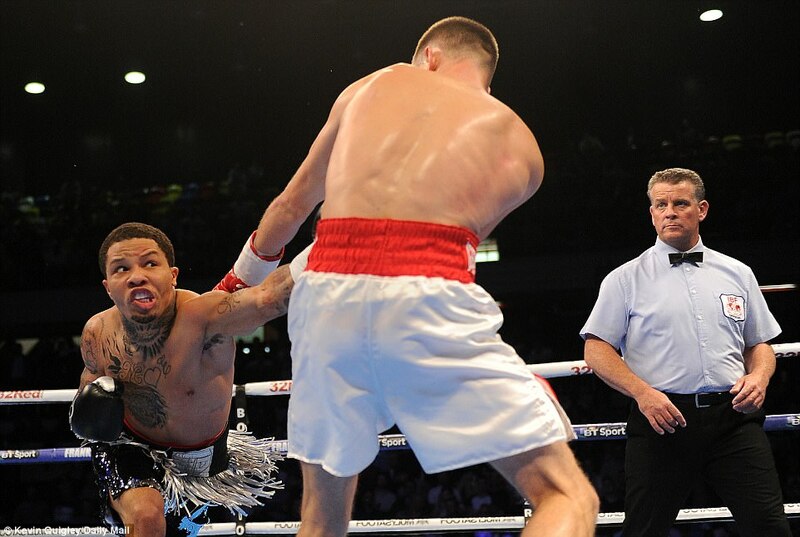 Both combatants had come into the Copper Box undefeated. Walsh arrived in the packed room full of honest intent. Also, like Davis, he was undefeated in roughly the same number of fights. He did not share that illusion of equality for long. Having run the rule over his taller opponent for two rounds, he began the third by warning of the slaughter to come. Then he unleashed the full power of his artillery with both left and right barrels. 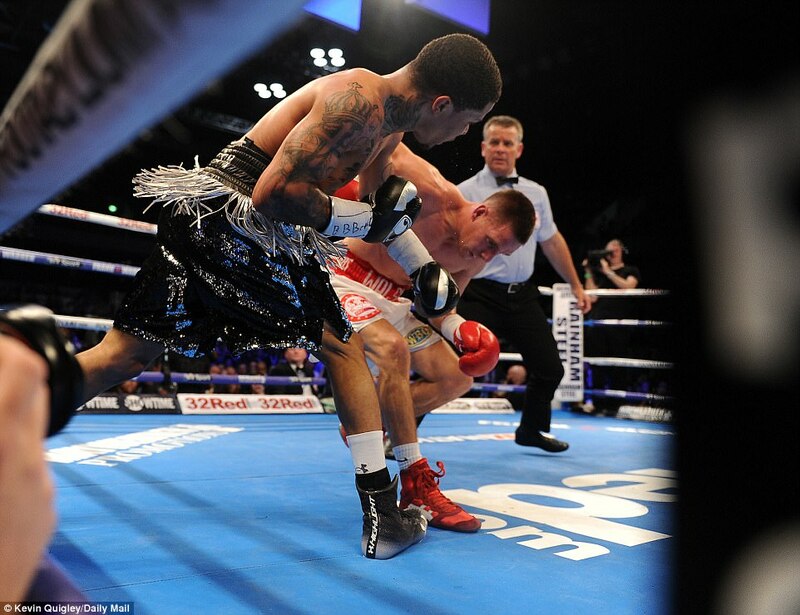 As the punches rained down on him, Walsh subsided in a heap. 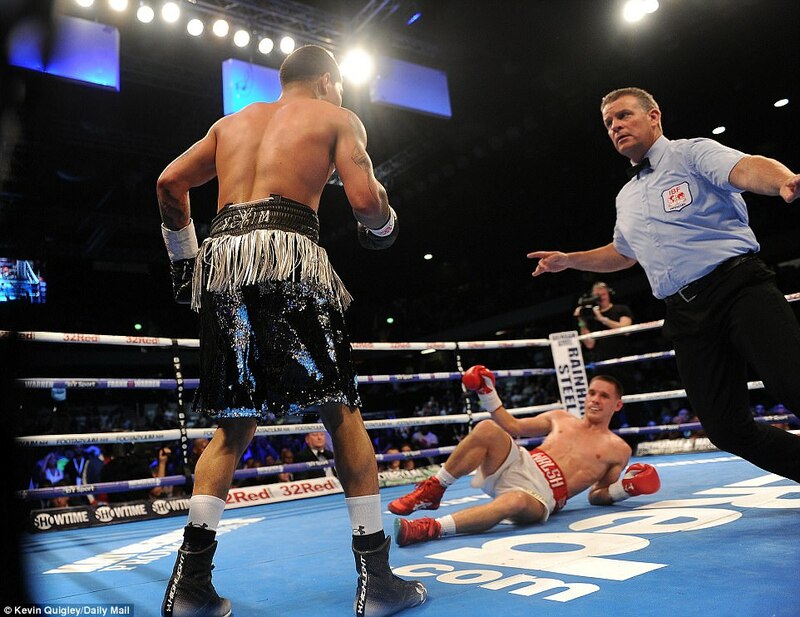 He did rise unsteadily to his feet but as he wandered blindly towards a corner instead of back in the direction of further punishment referee Michael Alexander waved it off. Not much time, as it transpired. Just two minutes and eleven seconds into that maelstrom of a third. 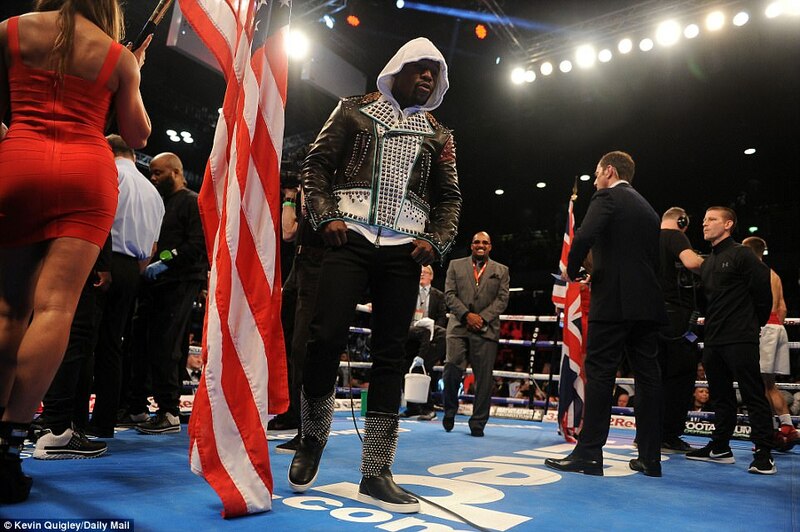 As Mayweather anticipated, this excursion into a hostile English environment was just another step for his protege along the body-strewn road to greatness. This racked up the 17th knock-out of his 18-win career at the un-tender age of 22. 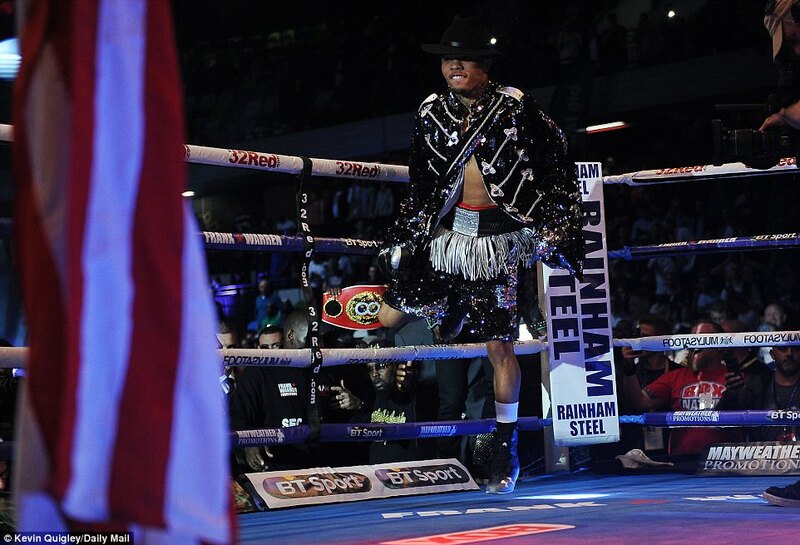 Prince Naseem Hamed, a dynamic puncher in his day, came to see if the American hype was justified. He, Davis and Mayweather then went into an animated huddle. He left an historic British venue wreathed in smiles. The London home of Olympian sport was playing host to the most commercially oriented team in the world. 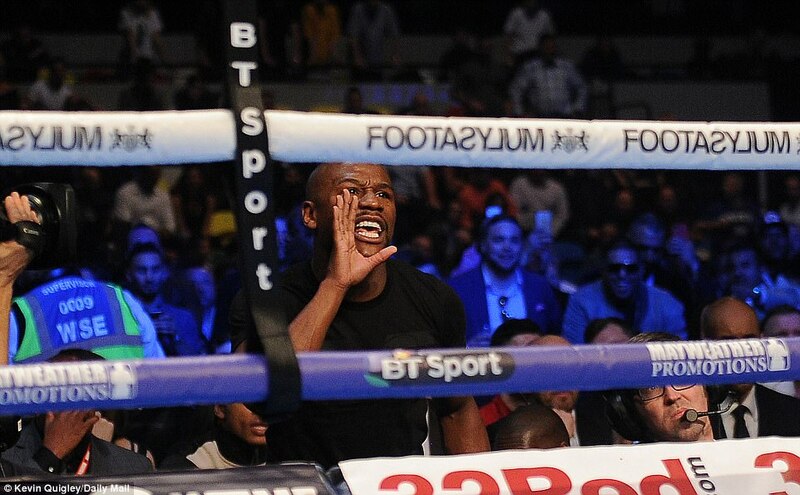 Money Mayweather brought the hottest property in his Las Vegas stable to the Copper Box in the Queen Elizabeth II Park. Davis the Tank, as his ancient Welsh ancestors would have ascribed him if there were any, came in on a Floydian fanfare as the pre-anointed heir to the six hundred million dollar man’s kingdom. This arena, which throbbed to the rhythm of handball and rippled with applause for the aristocratic cut and thrust of fencing five years ago, reverberated to its rafters for world championship boxing. The brothers of Walsh, themselves, had sold £60,000 worth of tickets to supporters of their Liam as he challenged Davis for his IBF belt. That certainly helped fill the hall to its 7,500 capacity but in his fabled ‘bro from the hood’ Davis had one backer who alone is worth a thousand times that amount. 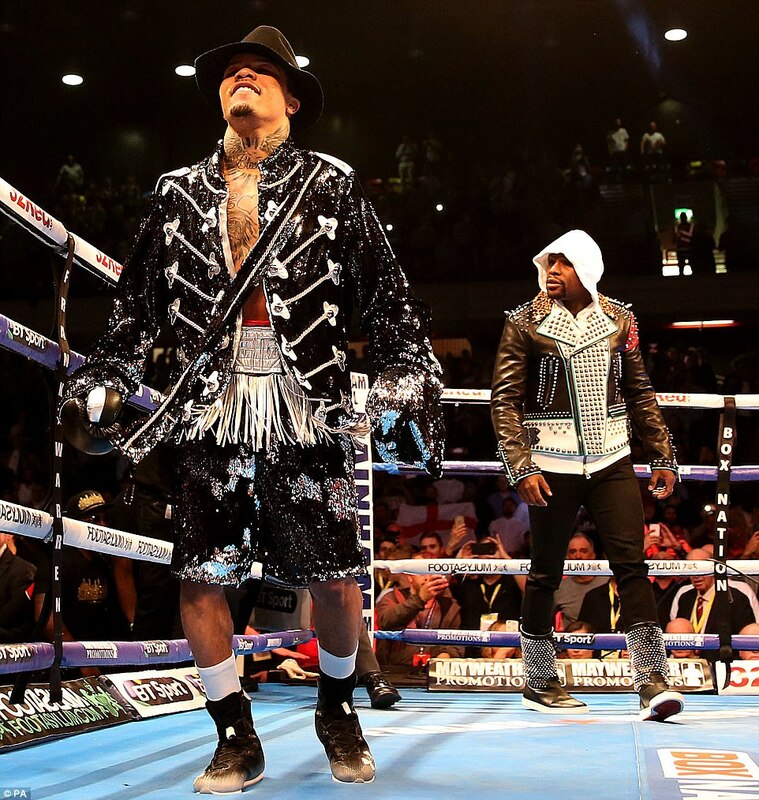 For his own amusement, he wore the black hat of the villain as he ambled out to face Walsh the home boy, accompanied by a white-hooded Mayweather. 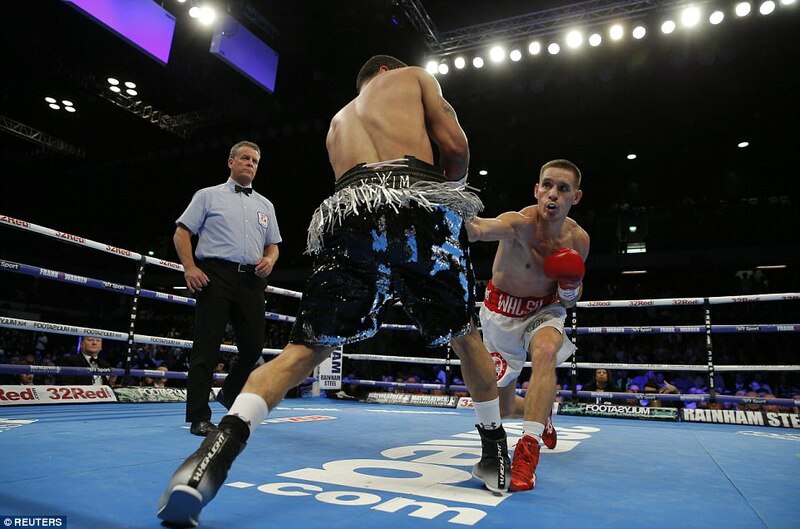 Walsh, something of a switch-hitter, chose to start the fight in southpaw mode against the right-leading champion. 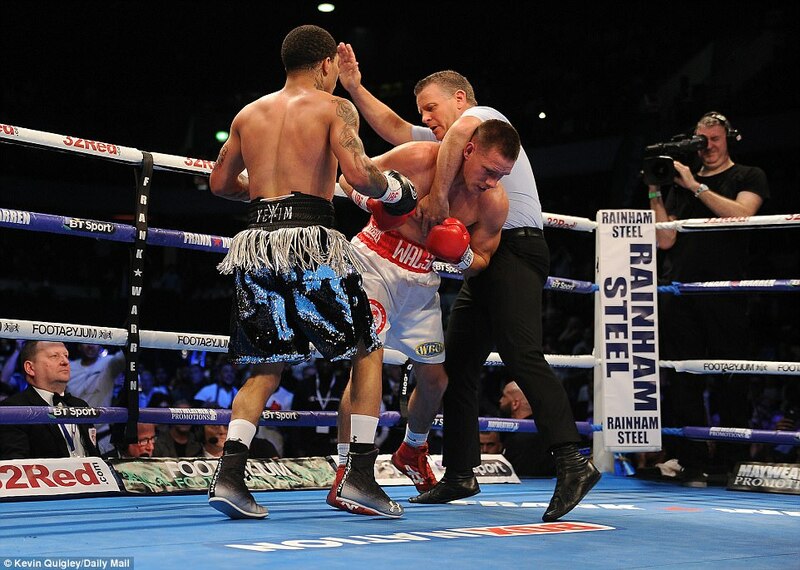 But when he was caught flush to the face by the first big left hook of the night he quickly reverted to orthodox. 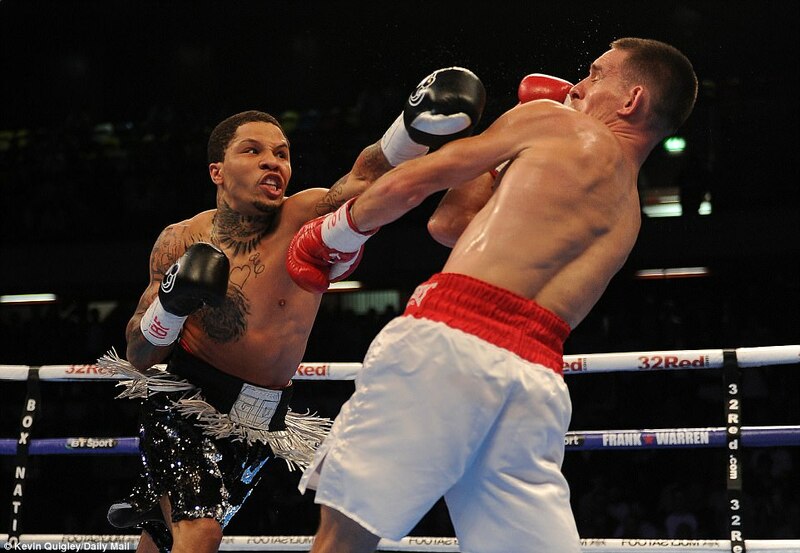 That left jab served him better at the start of the second and may well have been enough to edge the second round. To no avail. 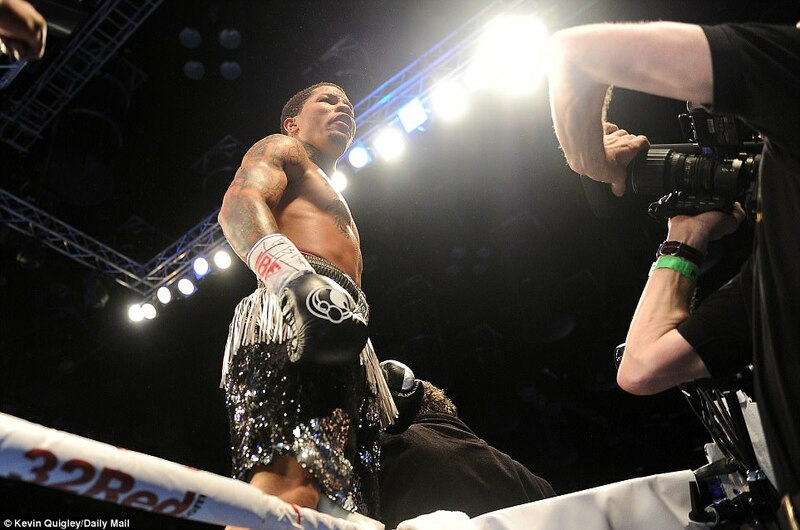 Davis began the third by standing, arms down, telling Walsh what he was about to do. Then he ended the conversation by doing what he had always predicted, knocking the man from Cromer clear back into the Norfolk countryside. 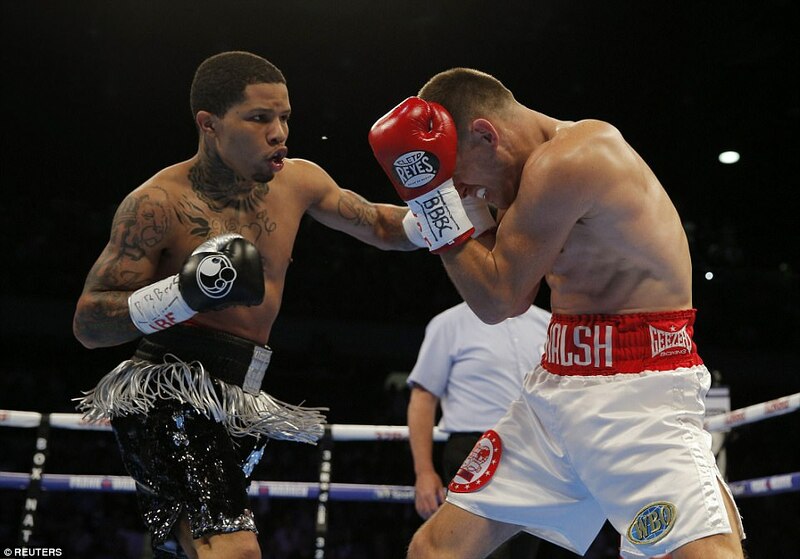 Gervonta Davis has not only Liam Walsh, but the world at his feet. Then he added: ‘In England we have this thing in stopping fights too soon.’ If that’s true then it was lucky for him this night.